It remains too early to make any grand pronouncements about the Chad Morris era of Razorback football. His 2018-2019 signing class is being heralded by recruiting analysts and reporters as the best on paper since recruiting rankings began being kept by national recruiting services in the early 2000s. How well a coach recruits is a huge determining factor in how well his team performs on Saturdays. 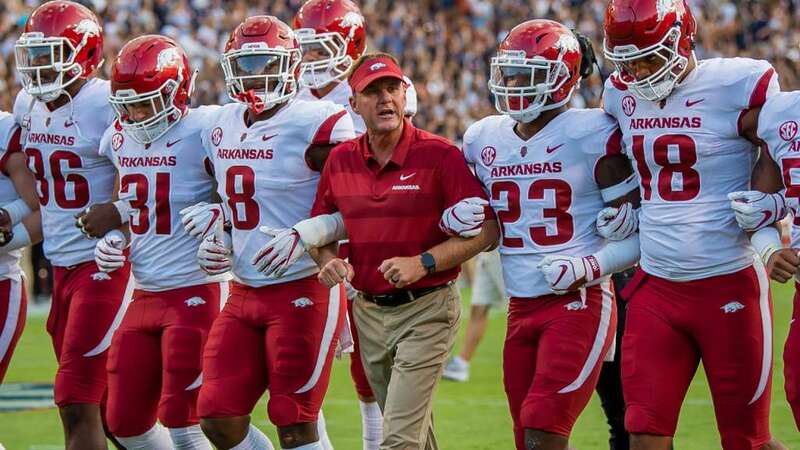 However, one solid recruiting class — no matter how strong it is — doesn’t mitigate what we saw out of the Razorbacks last season on the football field. That 2-8 season was worse than what anyone outside the program imagined. Morris has noted after the season that he and the coaching staff anticipated the season might be rough after going into spring practice. In his postseason wrap-up press conference, Morris must have said unacceptable 20 times when breaking down the season. Morris didn’t dodge the bullet, though. He said that he needed to be better along with every aspect of the program moving forward. That’s important for a number of reasons. First, it shows leadership, humility, and accountability from the top. With those qualities trickling down, it gives the Razorback program a foundation for improvement. Secondly, it acknowledges that it wasn’t only the players who needs to improve. Coaching decisions negatively impacted games last year. Decisions to punt on fourth-and-short against Colorado State and Ole Miss were shortsighted and costly in winnable football games. Leaving the game in the hands of the defense might have been the right call based on analytics, but sometimes knowing your team is more important than computer printouts or playing the odds. There was also a bit of stubbornness in the play calling that was troubling. Arkansas had a play in which tackle Brian Wallace was called for lining up in the backfield at least three times last season. If that can’t be corrected on the sideline during the game or at least in practice, throw the play out. Likewise, the pick plays that had two touchdowns called back late in the season have to be cleaned up or thrown out. It’s too deflating for a fragile team like the Hogs to have points taken off the board and then to expect them to overcome a penalty in the red zone. More talent and better execution can go a long way in erasing such complications. But when you see players making the same mistakes over and over, it not only reflects on them, but also on how they are being coached. I do like that Morris said the key to building the program is to stack good classes on top of good classes year after year, and I will be excited to see how well he and his staff will recruit once there is some success on the football field. It is impressive what the Razorbacks did in recruiting this season. They addressed key needs in the offensive and defensive lines in terms of numbers, and went out and nabbed playmakers at wide receiver that should pay dividends starting next season. It’s unfortunate that the Razorbacks missed out on both linebackers they were targeting in the late signing period, but if you’re going after top players, it’s going to happen. Spring practice is fast approaching at the end of this month. It’s going to be exciting to get some fresh news on the team, and to see what progress has been made since last November. Hopefully, Morris will feel more at ease and open some of practice up to the public this year. The offensive growing pains should be soothed a great deal with an experienced operator in the shotgun like graduate transfer Ben Hicks, who started as a sophomore and junior under Morris at SMU in 2016 and 2017, and became the Mustangs all-time leading passer as a senior. Hicks might be just the right fit for the Hogs. In a sense, he could be like a graduate assistant who plays on Saturdays, while helping tutor Arkansas younger quarterbacks during the week. It will not only help the other QBs to work around Hicks, but also the receivers. It was clear last year that the receivers and quarterbacks weren’t always on the same page. It will help the receivers to get in tune with a quarterback who already knows what and how to execute what the coach wants. 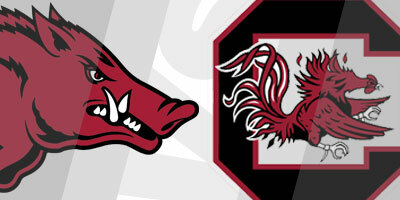 Can hoops Hogs extend streak on the road? One thing about Mike Anderson’s 2018-19 Razorbacks basketball squad is they make it interesting to watch more often than not. Eleven of the Razorbacks’ 22 games have been decided by seven or fewer points. It was no different last Tuesday against Vanderbilt at Walton Arena. The Hogs got a clutch assist by sophomore forward Daniel Gafford to set up and even more clutch three-pointer by Keshawn Embery-Simpson to hold off the Commodores, 69-66. The victory over Vandy gave the Razorbacks their fourth consecutive SEC victory and put them above .500 in SEC play for the first time since the first week of the conference schedule. Now the Hogs (14-8, 5-4 SEC) are preparing for a tenuous two-game road swing to South Carolina (11-11, 6-3) at 2:30 p.m. on Saturday and then onto Missouri (11-10, 2-7) for an 8 p.m. matchup on Tuesday. If the Razorbacks harbor much hope of making postseason play — particularly the NCAA Tournament — these two games are huge. It would not be a stretch to say that they need to win both games to stay in the hunt. The Razorbacks beat Vanderbilt on Tuesday, but dropped from No. 57 to No. 60 in the NCAA’s Net Rankings. The Net Rankings are replacing the RPI ratings system as a tool for the NCAA Selection Committee to use in differentiating between teams when selecting the tournament field. No one knows how influential the ranking will be, but most assume it will be similar to the RPI ratings of the past, which was substantial. Missouri is ranked 80th and South Carolina is 106th. Just playing them might lower Arkansas’ ranking. Losing to either of them could certainly harm or maybe even do in the Hogs’ postseason chances, depending how the Net ranking are used by the selection committee. The good thing about this Razorback team is it has played about as well if not better on the road this season than they have at home. Let’s hope the Razorbacks remain on a role and extend their winning streak to six over the next four days and keep this season interesting.